In 1921, the National Education Association adopted a resolution to support a national effort to raise public awareness of the importance of education. The concern arose after finding that 25 percent of the country’s World War I draftees were illiterate. 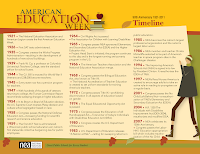 American Education Week continues with continued support of the NEA. The NEA's mission is "to advocate for education professionals and to unite our members and the nation to fulfill the promise of public education to prepare every student to succeed in a diverse and interdependent world." Education has always been central to ensuring opportunity, and to instilling in all our citizens the defining American values of freedom, equality, and respect for one another. Our Nation's schools can give students the tools, skills, and knowledge to participate fully in our democracy, and to succeed in college, career, and life. This week, let us reaffirm the importance of education and recognize that we all share in the responsibility to educate our students. 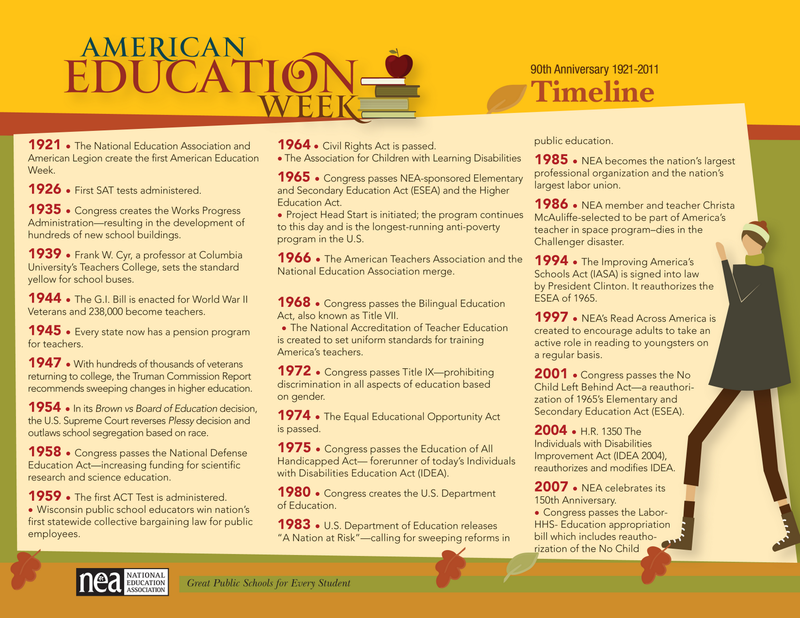 with American Education Week 2011? The NEA website lists five things you can do including nominating a Classroom Superhero and helping fund a teacher’s classroom project. So celebrate American Education Week and show your support – well-educated children are an investment in the United States’ future.